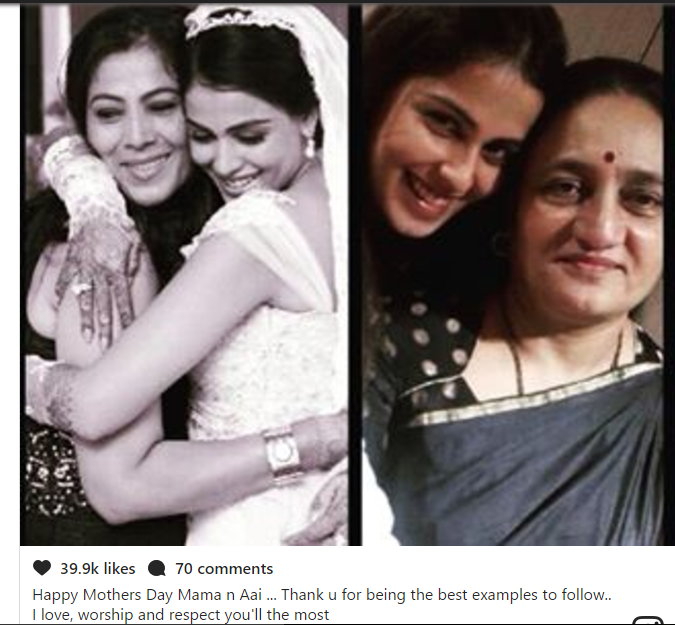 She is your world, she carries the love of the world in her soul, she is selfless, she is irreplaceable and is above anything and everything in the universe. 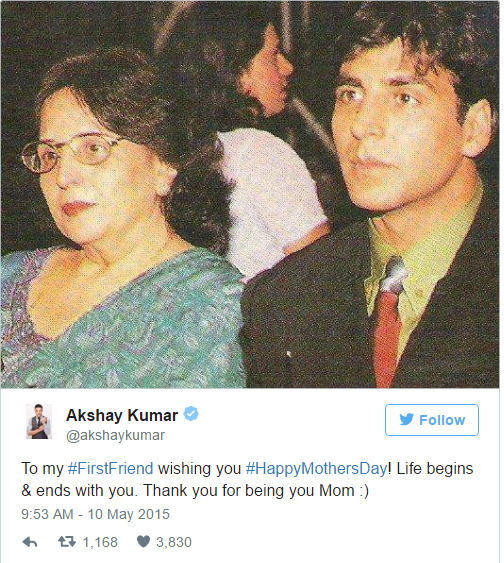 The value of mothers can’t be defined in words. 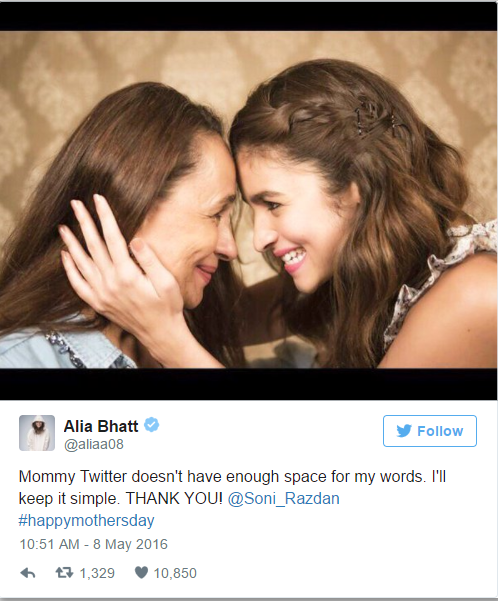 If there is anything perfect in this world, it is for sure a “Mother” and her “love” for her child. 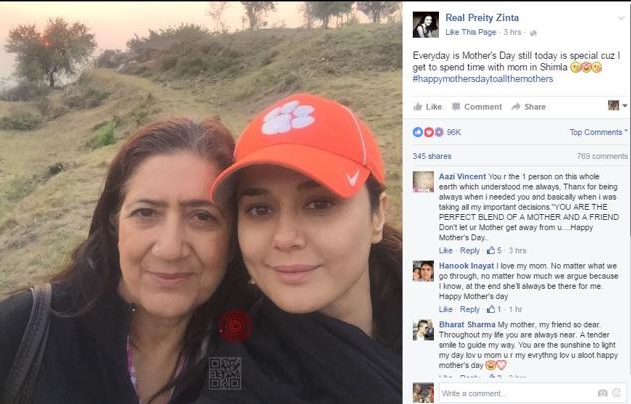 There is nothing you can compare with her. 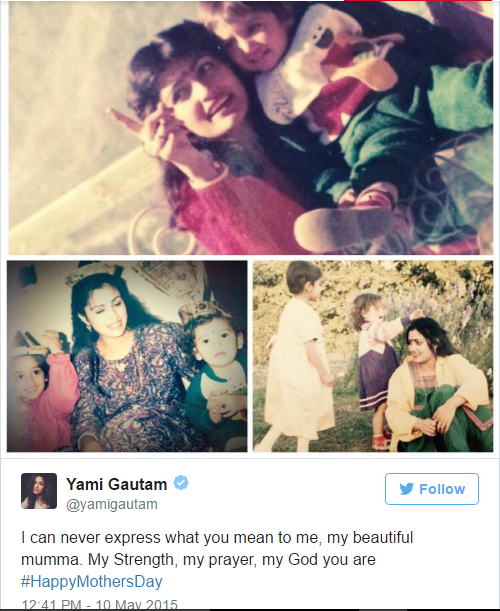 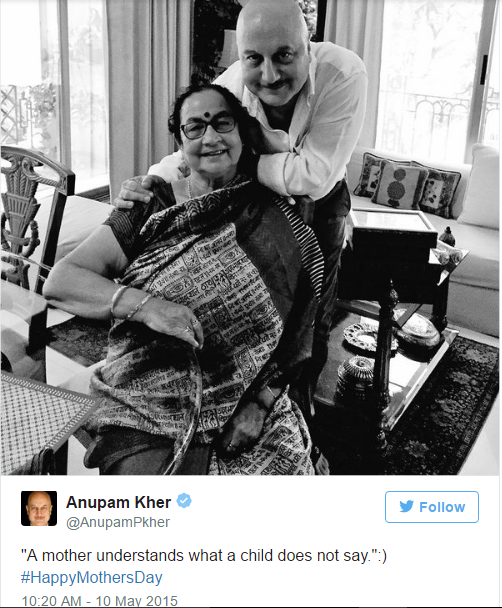 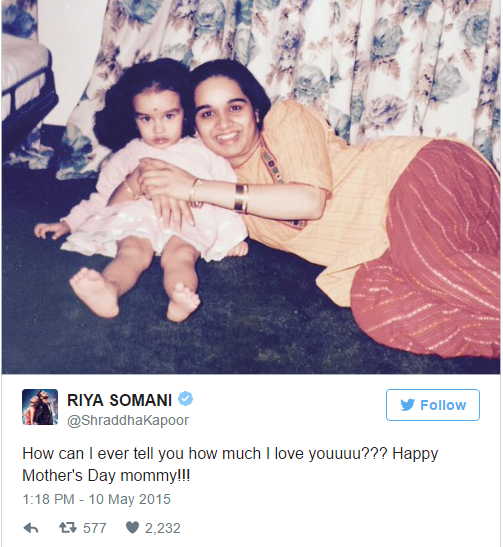 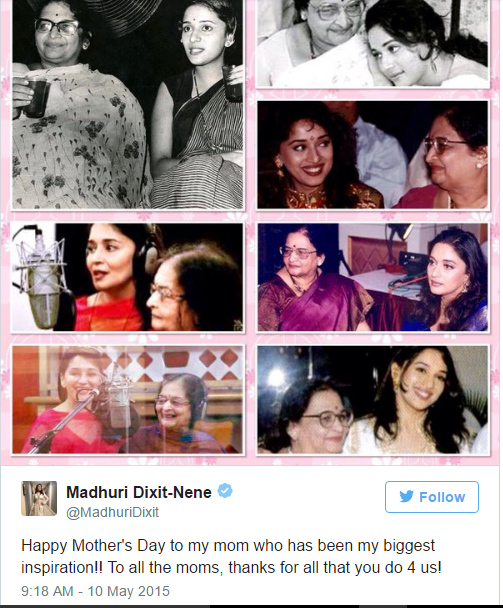 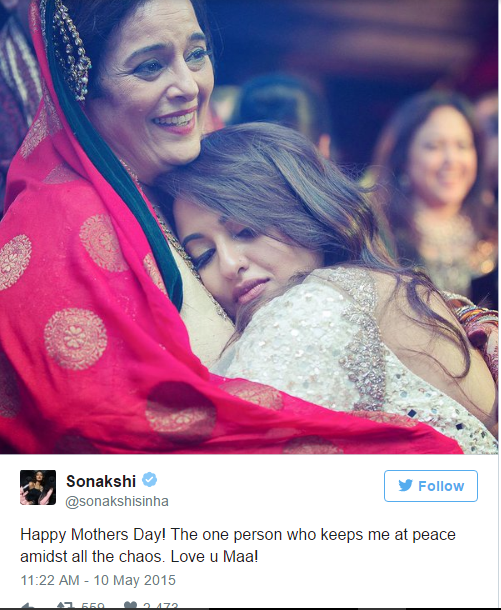 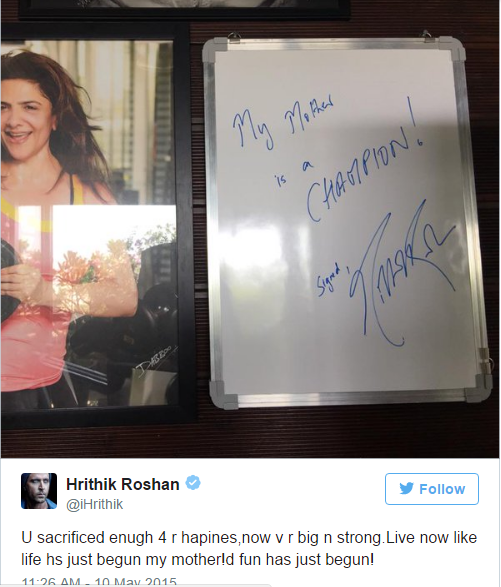 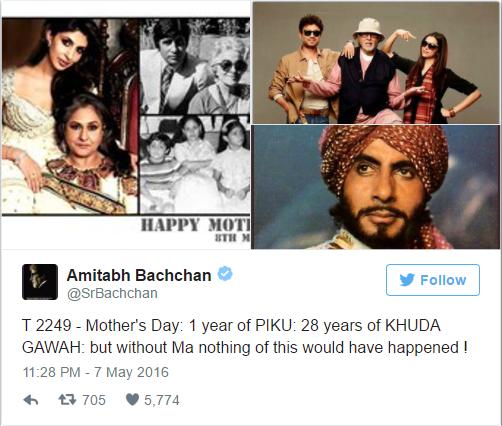 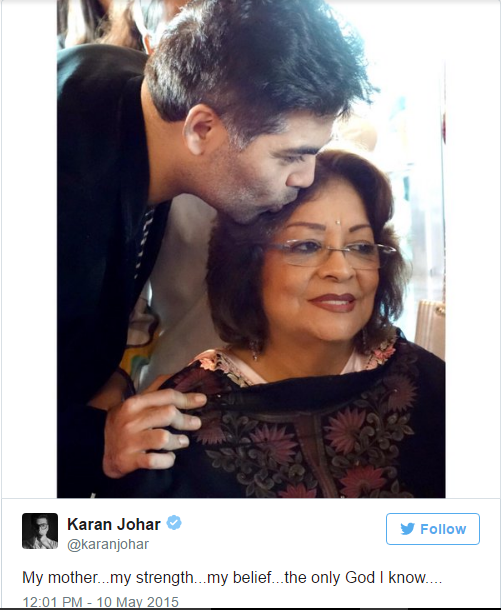 With all the people celebrating and honoring this day by putting pictures with their moms on social media, our favorite Bollywood celebrities also expressed their love for their mothers on twitter.